September has arrived! Summer is still with us of course, though most everybody considers it at least unofficially over at the close of Labor Day, when vacations cease and everybody is back to work and school. September 23rd marks the official beginning of fall this year and let's pray that some cooler weather comes along with it. Mercy. Y'all liked the Labor Day Roundup of Dips, Burgers, Ribs, Sides & More post so much last Friday, and in fact, it was one of the top posts for the week, that I decided to gather up some of the other favorite recipes that were most popular on Deep South Dish in the past week. 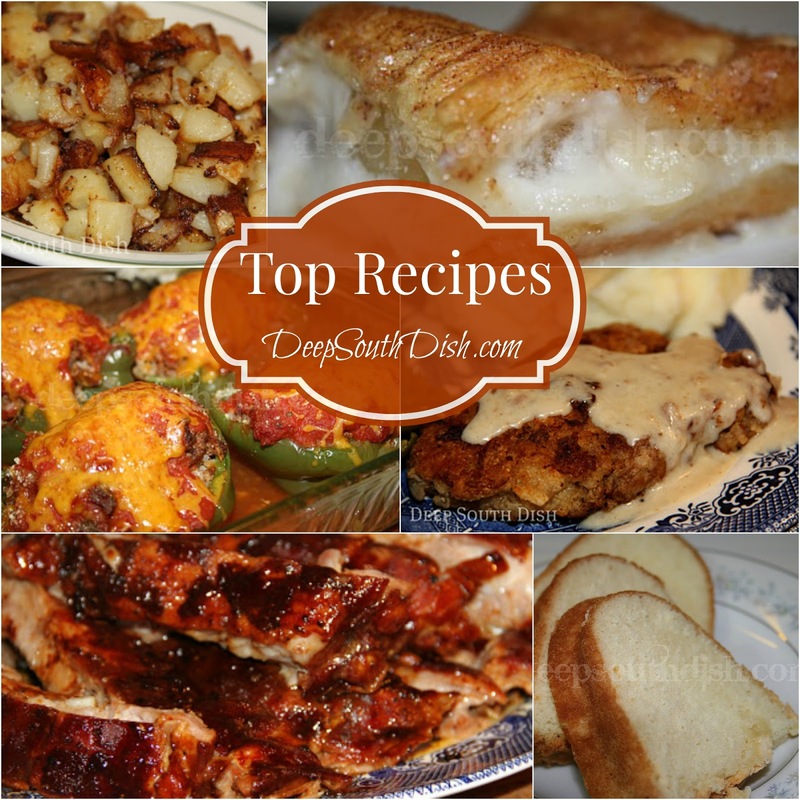 Interestingly, the most popular recipes last week, were some of the earliest recipes that I published when I started blogging about Southern food here at Deep South Dish. All of them but one dates back to 2009 and 2010, and even the newest one is already two years old. Time flies! Pin It You can tell that apple season isn't far away because there was renewed interest in my ever popular 'Apple and Cream Cheese Dessert.' Now, granted, this is a shortcut recipe that uses canned pie filling, your own that you've put up, or good ole handy dandy store-bought, but either way it is delicious and super easy to vary the flavors too. Apple is a favorite, but cherry and blueberry are equally delicious. That was the 6th most popular recipe last week. 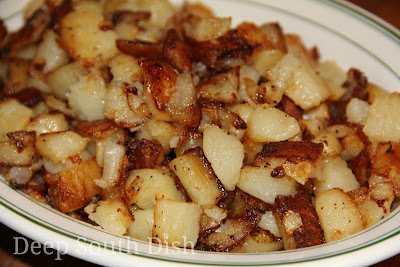 Following that at number 5 were my 'Skillet Fried Potatoes,' soft fried potatoes, first steamed and then pan fried like hash browns, resulting in a soft, tender inside, but with crispy outer edges. Gracious do I love these potatoes any time of the day. 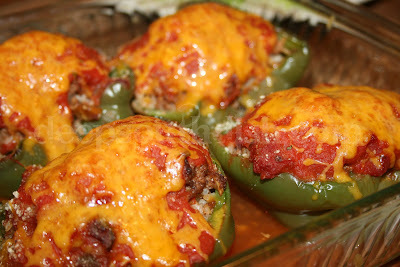 The fourth favorite recipe last week ended up being another site favorite, 'Creole Stuffed Peppers.' Sweet bell peppers are stuffed with a beef and sausage stuffing, a Creole tomato sauce, and topped with your favorite cheese. I first published these stuffed peppers in 2010 and have had so many compliments on them since, that it's not at all surprising to see them holding their own as one of the top recipes for last week. 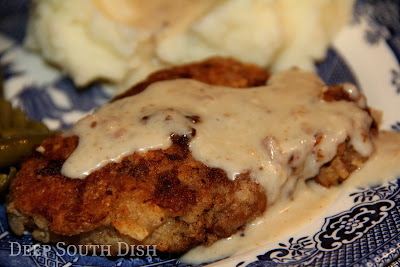 At number three last week was also a site favorite and a true Southern classic, 'Chicken Fried Steak with Southern Style Peppered Milk Gravy.' Definitely a mainstay of the South, it's really just a simple cube steak, dredged in seasoned flour, and topped with a milk gravy that is born out of a simple blond flour roux made with pan drippings, a little bit of bacon drippings and milk. On Deep South Dish since 2009, it's always been a well loved recipe. A timeless Southern favorite, 'Grandma Mac's Perfect Southern Pound Cake' comes in at number two for last week. 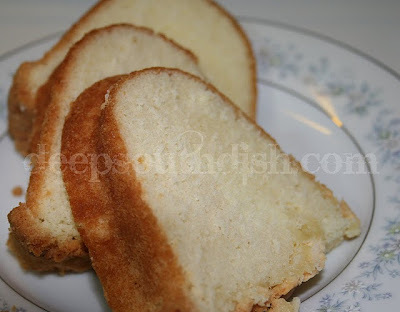 In my mind a perfect pound cake is moist, tender, light, fluffy, creamy, and buttery, all at the same time and this one meets every one of those requirements. Just perfect. 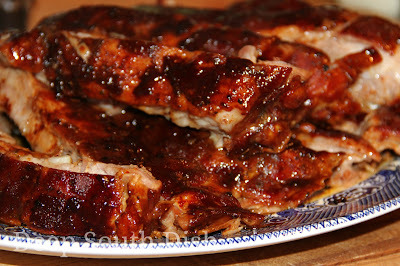 And last, no surprises to find the number one recipe last week to be my 'Fall off the Bones Oven Baked Ribs,' not only because it was Labor Day, but also because it's been a popular recipe ever since I first published it in 2009. It doesn't really matter the time of the year either because these ribs are always popular, proving that most of us prefer this method over smoking or grilling because of the ease of preparation and, of course, the results. Delicious. I want to end this roundup by letting you know how much I really appreciate your support of Deep South Dish. I remain in awe of it really, and your supportive letters to me truly lift me up and keep me going here. You'll find us on Facebook at both Best Southern Recipes and Deep South Dish Recipes as well as Twitter and Pinterest Your shares to your friends and family and to those social media outlets and others, are the backbone of the success of this website, and I am so grateful for the love and support y'all have given me. Thank you. Please remember also that you can sign up for recipe email alerts for new posts by clicking here and entering your email address or using the box located at the top left hand side of the website. As a subscriber, you are the first to know when new content posts on Deep South Dish. As always, your email address is confidential and will never be given away, shared or sold. 14 HUNGRY PEOPLE COMMENTED. ADD YOURS! I was one of the many who checked out the creole stuffed peppers .... but here's twist -- I had boudin sausage on hand and wanted to do something with it. So ... I simply substituted the boudin for the meat/rice mixture in your recipe (taking it out of its casing). I recommend this to you and your readers. Easy and delicious way to use boudin! Cheers. That is simply genius!! You bet I'm gonna give it a try myself. :) Thanks! I'll have you know I'd be lost without your 'little blog'. It has made me into a better cook than I thought I could be! I try out new and different recipes that I never would have tried before.. ... And I never would have heard of 'Slap Ya Mama'.... now I absolutely can NOT live without it. ..... Keep up the great work! Thank you Sandy! I'm so glad that you found a little inspiration here, but I have a feeling your inner cook was always there waiting to show her creativity. Slap Ya Mama - isn't that little canister just wonderful?!! This is such a delicious round-up of recipes. Thanks Mary! You're very welcome Joanne & thank you too!! All of your food makes my mouth water. I have been on a diet since late May & I'm dying to eat real food. My husband & I have lost about 50 pounds between us. 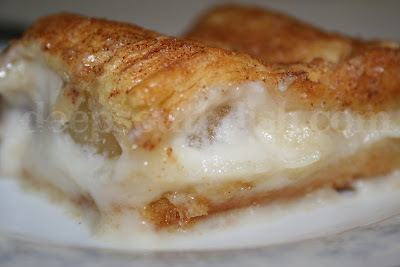 Anyhow, I am definitely making some of these dishes soon including the "Apple & Cream Cheese Dessert." Thanks for the great line-up of delicious food. Wow Tricia! First, congratulations to you and your husband - losing weight is not an easy task these days with all the wonderful food - but also thank you so much for the kind words! I really appreciate that!! This is one delicious roundup!! Do I keep in refrigerator and how long will it last? I'm not sure what recipe we're talking about - could you clarify and maybe I can help! First Blessings to you and your family , next I love the new recipes but I need a couple more for steaks ;) my fairy cook mother please please , any way thanks for all you doooo. LOL!! What kind of steaks are we talking about Mamarosa? You can find a bunch of them here for things like cube steaks and round steak etc.